December is finally upon us and it’s time for me to start thinking about Christmas and all things festive. For the past few weeks my social media feeds have been filled with people putting up their trees and decorating their house. Over here, however, things are quite different and I am only beginning to think about this year’s handmade Christmas, decorating itself is still a couple of weeks away. Back home in Ireland it was traditional to never decorate before the 8th of December, although it was usually a lot later in the month before we did so. Over here, it is much more traditional to put the tree up and decorate as close to Christmas as possible. There are several great reasons for this, but the one I love the most is that the trees here are traditionally lit with candles and for that you need a fresh tree. 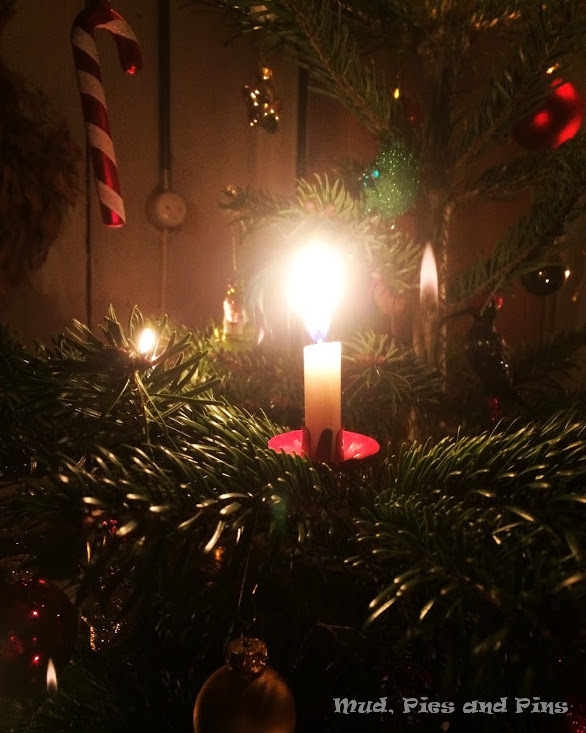 Our candles will first be lit for dinner on Christmas Eve, when Christmas is traditionally celebrated in Switzerland. We will then light them again for our Christmas Day feast, when we celebrate Irish style and probably for a third time on St. Stephen’s Day. 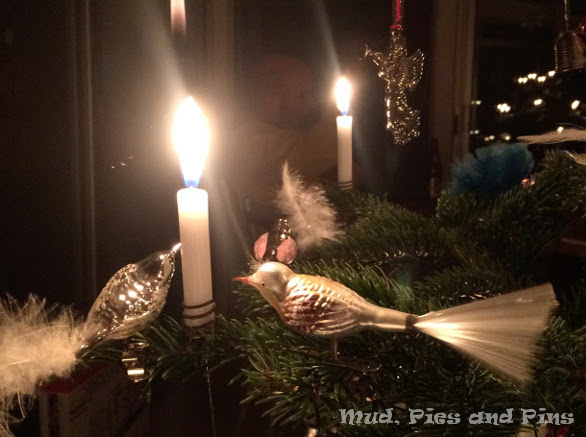 Finally, if the tree is not too dry, they will be lit again on New Year’s Eve. My tree is never decorated according to a theme. I have an eclectic mix or ornaments that I have been collection since I had my first Christmas tree away from home. Each year I add something new to the collection. In the past I have regularly purchased ornaments but in more recent times I have been making them. A few years ago I made a few sets of ornaments that I gifted to members of my family. I kept meaning to make some for myself but never did. Until now. 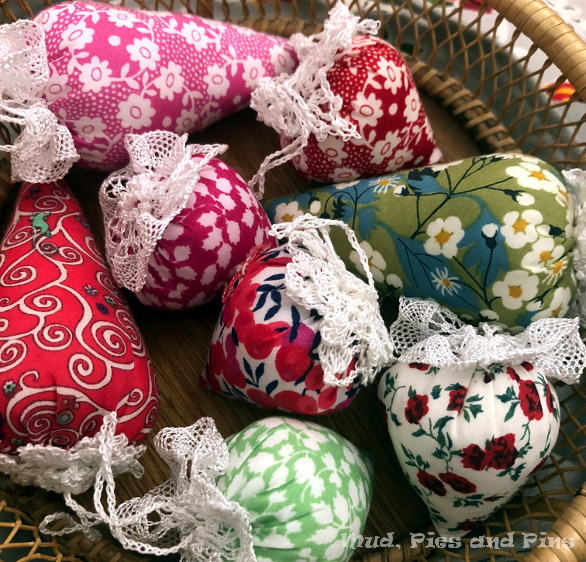 Given my love of Liberty it was fitting that I reached for some charm squares in festive colours to make these little baubles. The were topped with gathered lace ribbon or snowflakes crocheted in fine cotton. In addition to the snowflake design I had used for the original baubles, I found some new patterns over on Beautiful Crochet Stuff that I also used this time. There are so many patterns for snowflakes that I would like to try that I am putting those on the list for later in the week and hopefully I will soon have some ready to hang on this year’s tree. I hope to see you back here soon, as I plan on sharing lots of little makes, and bakes, as I work my way towards this year’s handmade Christmas. 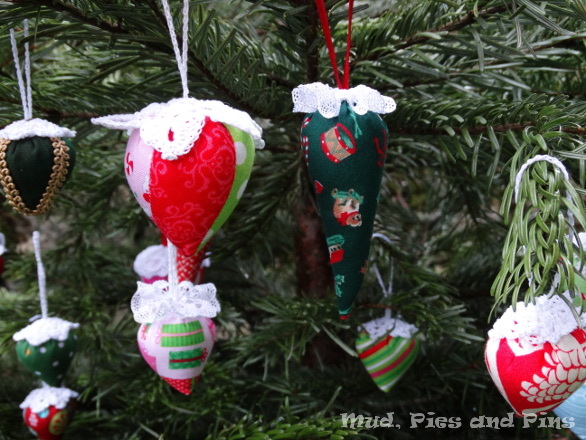 In the meantime, if you would like to try and make a few of your own tree ornaments you can find my tutorial here.